Thanks to the recent release of Baz Luhrmann’s hotly anticipated adaptation of The Great Gatsby, the 1920s are roaring back into fashion. And with art deco, fringes, feathers, and fine jewellery in abundance, this trend is as decadent as Jay Gatsby himself. It’s in the name here- a Jazz Age inspired design. The classic and clean shape of this dress offsets the opulence of its metallic gold detailing, resulting in a stunning and totally wearable take on Gatsby fashion. Team with 1920s style T-bar sandals, drop earrings and lashings of black eyeliner. Wow in this divine ethereal vintage inspired gown. It is 100% silk and perfect for a special occasion; sure to make you feel you’re as carefree and captivating as Daisy was to Jay (or Zelda to Fitzgerald). Wear with a floral head garland for added boho, or with dark matt red lipstick for evening. You don’t need much jewellery with a dress this sensational. The Rowland shirt is a great choice if you prefer separates, or want something even more casual. Give your work wear a Gatsby twist by wearing this chiffon blouse with an A-line skirt, or cigarette pants and brogues. Wear with gold eyeshadow, a side parting and loose waves. Go for kohl rimmed eyes or red lips for evening glam. And don’t forget the glitter. Now go get your Charleston on! 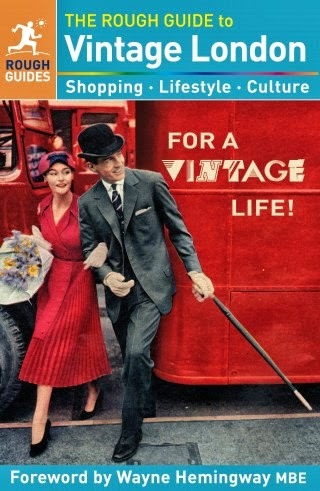 For more vintage-inspired designs by Fever have a look at www.feverdesigns.co.uk. Alternatively, pop into one of their nearest stores. Find your nearest one here. LOVE that silk dress it's absolutely gorgeous! The Rowland Shirt is new to me, I would wear it with some soft pink pants. The long silk dress is so pretty and feminine. A flattering colour too. really love the style of that area, flapper dresses and headbands are my thing right now for accasional wear!